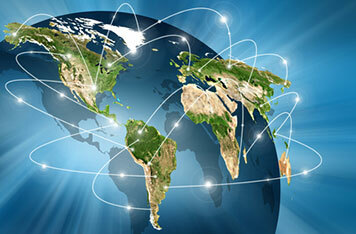 GMS provides innovative and comprehensive IT solutions to companies around the globe. GMS delivers a broad range of services designed to help clients succeed in the emerging IT economy. With only a few bilingual companies supporting the IT global market, GMS operates globally with one business model designed to enable services to our clients. Such services provide flexibility, speed and consistency. GMS operates in the US and Japan, along with other technology partners around the world. GMS foresee technology as the generator of new opportunities. With our experienced professionals, GMS brings the latest technology in delivering a solution for our clients. We help our clients identify a solution best suited for their most critical challenges, no matter how complex. GMS has been a leader in the technology consulting arena. Our clients benefit from our experienced expertise. Our values stand by our team’s unlimited measures to build on our technical knowledge. By integrating our expertise with the right tools from across our own organization and through our network of alliance partners, we are able to develop a solution that is valuable for our client needs. GMS’ integration architects and software developers use leading software programs and distributed systems technologies. Our familiarity with a broad range of e-business hardware/ software platforms, allow us to incorporate and fuse together the technologies best suitable for each client needs. GMS’ managed services helps our clients get the most value out of their network through our most reliable hosting, network, support, and on-site services. By these services, our clients do not have to spend more time and money running their network, but rather, using it more efficiently and effectively. GMS’ fully managed data centers host a wide array of applications. In addition, it also delivers services globally. Our private internal network ensures reliable service connection to the world’s largest Internet carriers. Our data center customer support operates 24-hours a day, 7 days a week. 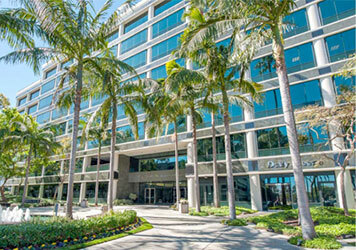 Global Micro Solutions, Inc. was established in May of 1993 by Mike T. Uesugi, in Torrance, CA. Global Micro Solutions, Inc. (www.gmsnet.com) is in the computer industry providing technology consulting, software engineering, web development, system integration, and networking. GMS develops and enhances Internet technologies on the scale of e-business application and solution. - Social Rewards, Inc. - Where Loyalty Marketing Programs meet Social Media. "To establish an IT environment that is dependable, secure, and productive"
"To become an influential leader in the IT industry servicing the United States and Japan through technology sources and methods." "To automate inefficient routine tasks by providing creativity and sophistication through technology planning"
"A bilingual IT (information technology) provider who understands team work, aggressiveness, stability, and culture"
Working at GMS is a wonderful experience. GMS is devoted to transforming its client's business and technology through our multi-channel experiences. We pursue professionals who prosper on achieving excellence in client delivery. The staff at GMS made it what it is today. Our people come from a wide range of culture, education and geographical backgrounds. Different point of views lead to a superior business solution for GMS and to GMS’ clients. Their individual experiences promote innovation, creativity and contribution to our success. People at GMS are some of the most creative and forward thinking people in the e-business world today. GMS offers satisfying and rewarding opportunities. GMS establishes a great place to work by offering our people with competitive benefits, rewards, and continuous opportunities. Through the company's global network, employees can pursue international positions or simply choose to pursue career options closer to home.